Energy savings are for renters, too! 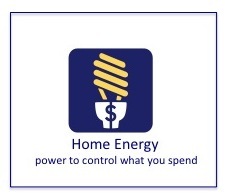 The following links offer no cost and low cost ideas to lower your utility bills. 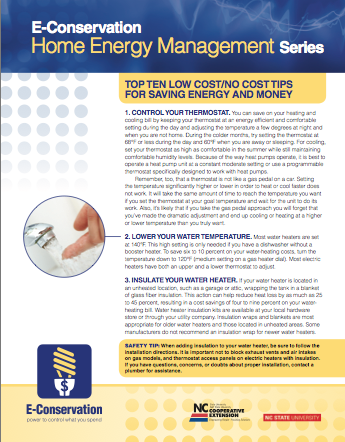 Some of these strategies require a change in your habits and cost nothing while others require small initial investments that will likely pay for themselves in energy savings over time. And when it is time to move, you can either leave the improvements intact and sell them to the future tenants or take them with you to your next home. Note: Ask permission from your landlord for some energy saving strategies and before making any physical changes to the property. The rule is, ask first and get permission in writing. Sealing up drafts with caulking or foam sealant, or putting plastic film over your windows to keep heat in may seem noninvasive but may be prohibited in a standard lease. Plan A should be to do some research, develop a reasonable plan, identify rebates, and then ask the landlord to make the changes. In addition to making physical changes, there ARE many things you can do that you do NOT need permission to do. See the suggestions in the articles and sites below. 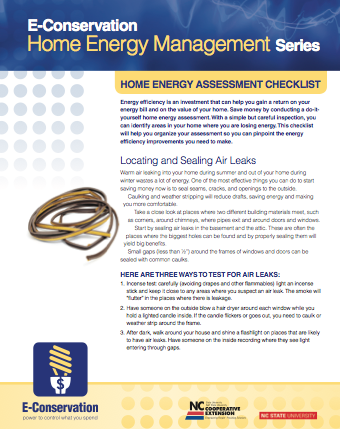 Top 10 No Cost and Low Cost Tips for Saving Energy and Money Example: Air Leaks – If you feel warm or cold drafts in your home, particularly near wall outlets, windows, doors and fireplaces, then consider air sealing. On windows, use weatherstrip tape along the gap where the glass meets the frame. To stop leakage under exterior doors, install an inexpensive door sweep. If the door leaks around the entire frame, install foam weatherstripping with adhesive backing between the door and the frame. 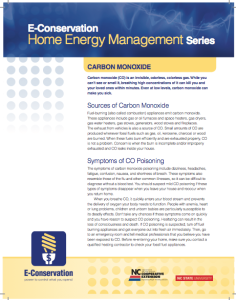 Carbon monoxide (Co) is an invisible, odorless, colorless gas. While you can’t see or smell it, breathing high concentrations of it can kill you and your loved ones within minutes. Even at low levels, carbon monoxide can make you sick. Install a Programmable Thermostat: Use a programmable thermostat to take control of your heat and cooling levels, which will reduce your energy use and lower your bills. A good thermostat can be found for under $35 and installed in just a an hour or two. Install Gaskets Behind Outlets & Switches: If you put your hand next to an outlet or switch plate and can feel air coming through, then you should install these gaskets to prevent unnecessary heat loss and air infilatration. Caulk & Seal Around Window and Doors: If you live in an old building, it’s likely you have single pane windows and old or missing caulk. Combat air leaks by applying caulk around window frames and sashes and door panels, and of course there’s the old plastic sheet option for the winter. Use Power Strips: A lot of energy is wasted through eletronics left plugged in, and the resulting vampire energy. Put a stop to it by using one of a number of cool, smart energy strips, which will turn off vampire energy when the electronics are not in use. Check Your Water Heater Settings: Make sure your water heater is set at the lowest comfortable setting. If you’ve ever experienced scalding hot water, it’s possible it’s set too high and is wasting energy. If the tank is old, it’s probably an uninsulated unit, which can be easily remedied by covering it with an insulating jacket. Replace The Furnace Filter: Make sure the furnace filter is being changed every 1-3 months to ensure clean air and improve the furnace efficiency. These are inexpensive and easy to install, but depending on where your mechanical closet is located, you may need to ask your landlord for assistance. Use Energy Efficient Bulbs: We’ve tested a ton of great energy efficient bulbs, and at this point they look so good, and the prices have dropped enough, that there’s no reason a majority of your bulbs shouldn’t be LED or CFLs. Even if you’re put off by the higher (slightly) upfront cost, you can simply unscrew them and take them with you when it’s time to move. Install Window Shades: More than just window decor, blinds and curtains can help control the heat loss/gain and light levels. Using heavy curtains in the winter will help block any heat loss, as well as unwanted heat gain in the summer. Blinds can be adjusted throughout the year to also control light levels and privacy. Use a Humidifier & Lower Your Heat: Keeping humidity levels up during the winter is not only good for your health, but also for your air and furniture. It also helps keep the ambient air temperature feeling warmer than dry air, which means you can turn your thermostat down. If your HVAC system doesn’t have a humidifier built-in, then you can get an inexpensive and portable humidifier to use during dry conditions. Clean Your Refrigerator: It’s unlikely that you’ll purchase new energy efficient appliances for your rental, but you can tweak the ones you already have. For example, by cleaning the coils on the back of your fridge you’ll help one of the biggest energy hogging appliances run more efficiently.